AUGUSTA, Maine — Maine Conservation Voters, the environmental advocacy group that issues annual scorecards for the state’s politicians in Augusta and Washington, on Friday announced its endorsement of U.S. Rep. Mike Michaud’s bid for governor in 2014. The group’s board president, Dan Amory, recounted one of the Michaud campaign’s most well-worn stories, about how Michaud first ran for the Maine House of Representatives with the goal of cleaning up the Penobscot River. The group highlighted Michaud’s record in Congress, such as his 2009 vote in support of the American Clean Energy and Security Act. 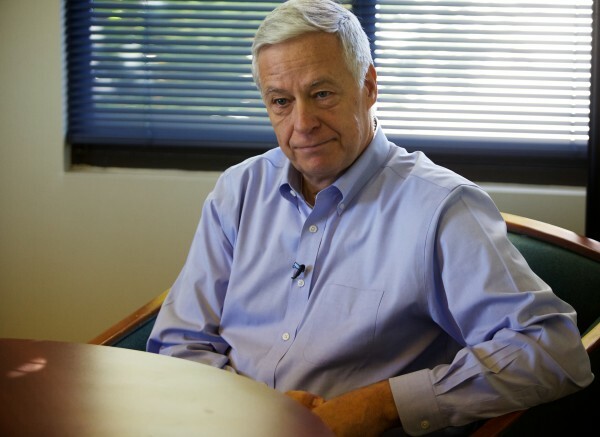 Michaud has a lifetime congressional score of 92 percent from the National League of Conservation Voters. In accepting the endorsement, Michaud pledged that as governor, he’d start an initiative to reduce the state’s dependence on home heating oil by 50 percent by 2030. He also took aim at Republican Gov. Paul LePage, who is running for re-election this year. LePage has emphasized the need for expanded natural gas service in Maine, while playing down the role of many alternative energies, saying they aren’t cost-competitive. Cutler has made a habit of blasting the various groups that have chosen Michaud as their candidate, including the state’s leading LGBT advocacy group, EqualityMaine. Canney also pointed out that while Michaud has a good record on the environment in Congress, Maine Conservation Voters routinely gave him low marks during his time in the Maine Legislature. His career average in Maine was less than 55 percent. That argument doesn’t hold much water for Maine Conservation Voters, according to its chairwoman. Brent Littlefield, LePage’s top campaign adviser, said in a news release that the endorsement was largely inconsequential, pointing out that the Maine Conservation Voters had also endorsed Democratic candidate and then-Senate President Libby Mitchell for governor in 2010, and she went on to receive less than one-fifth of the vote. “This is news that matters to no more than 19 percent of the voters,” Littlefield wrote.